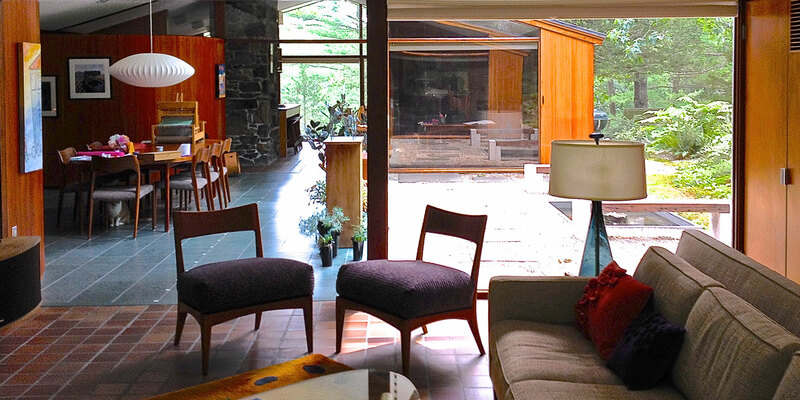 Lecture | Modern Design by a Mid-Century New Englander | Skinner Inc. This talk looks at some of the forces shaping mid-century modern design through the work of one mid-century New England practitioner, Henry B. Hoover. Hoover is known today as an architect. Less known is Hoover’s design work, which manifests itself in three ways. As a residential architect, Hoover designed numerous houses in New England, including the first Modern house in Lincoln, MA, and pieces of furniture for his clients. With landscape architect Fletcher Steele, Hoover created many garden features using modern industrial materials and modern forms, the Blue Steps at Naumkeag being a notable example. Industrial design also commanded a place in Hoover’s practice evolving from his work for Raytheon during the Second World War. Hoover’s career exemplifies the many sides of Modernism. Lucretia Giese – Ph.D., Harvard University in Fine Arts; Professor Emeritus of Art History and Visual Culture, Rhode Island School of Design; Board Member of Friends of Modern Architecture, Lincoln. This entry was posted in Event and tagged event, free, mid-century, modern architecture, modern design, New England by Skinner. Bookmark the permalink.